Bengt H. Fellenius, Dr.Tech., P.Eng. On January 4, 2010, in the remote Hunza Valley of Northern Pakistan a massive landslide buried the village of Attabad, destroyed 26 houses and killed 20 people. 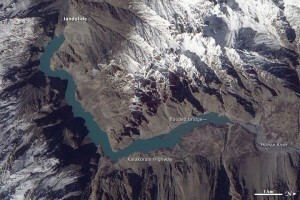 The landslide dammed Hunza River and formed an extensive lake of 100m depth. Until the end of July 2010, 381 houses were ruined; out of which 141 were directly affected by Attabad landslide, others were submerged due to expansion of the lake. By the end of May 2010 local authorities excavated a spillway to guide the flow of impounding lake over the natural dam. Until August, 2010, the spillway is performing well but internal response of the loosely deposited debris is unknown. Attabad village is situated in the extremes of Northern Pakistan. It is located at a distance of 760km from Islamabad, the capital of Pakistan. Karakoram highway connects Islamabad to Gilgit and further passes through Hunza valley up to Khunjrab Pass. The Karakoram Range of Himalayas passes through the Hunza valley in NW-SE direction. High snow- covered mountains with steep cliffs and narrow valleys are topographic characteristics. The difference of elevation between the valleys and the peaks ranges from 2200 m to 2700 m. Hunza and Hispar Rivers control the drainage of the area. A very high mountain of Rakaposhi (7788m) lies to the South-West and the Pasu Glacier lies in North of Attabad landslide area. Hunza valley rises from 1850 m to the peak of Rakaposhi at 7788 m over a distance of 11 km which is the most contrasting relief in the world. 30°C. The area receives about 1 m of snow in winter; January is the coldest and snow melting causes mudflows and rock falls during summer. The Northern areas are one of the most complex and difficult terrain in the world, exhibiting a great variety of rock types and structures. The exposed rocks range in age from pre-Cambrian to Recent and are composed of igneous and metamorphic rocks of various types. On the basis of regional tectonic set up, the Main Karakoram Thrust (MKT) and Main Mantle Thrust (MMT) are the major tectonic features and these mega-shears may affect the Attabad area during any seismic activity. 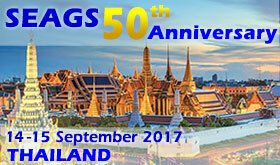 Copyright © 2019 Association of Geotechnical Societies in Southeast Asia (AGSSEA) - Southeast Asian Geotechnical Society (SEAGS). All Rights Reserved.